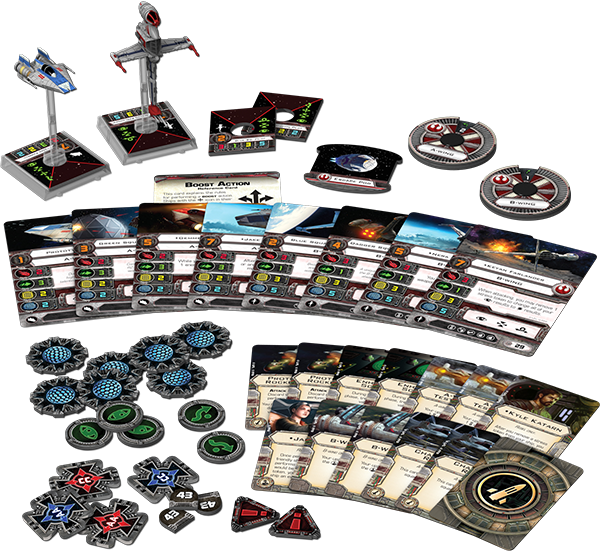 The Rebels now have some more firepower courtesy of the Rebel Aces Expansion Pack for Star Wars: X-Wing . The set is out now and features one A-wing miniature and one B-wing miniature – both of which boast alternative paint schemes. The expansion not only features two new miniatures to add to your fleet, but also a new mission Jump to Subspace, as well as new pilots and upgrades. Check out a better view of both the A-wing and B-Wing miniatures. It’s time to test the limits of your A-wings and B-wings. It’s time to put them through their paces, to race them across the battlefield, and to blast through screens of Imperial TIEs.